The Plaza Hotel and Casino, 1 Main Street, Las Vegas is located Downtown close to the world-famous Fremont Street experience. 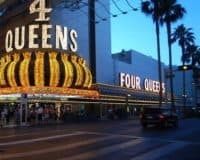 The Plaza Hotel and Casino – Las Vegas is located Downtown close to the world-famous Fremont Street experience, allowing guests to enjoy the delights of the Las Vegas lifestyle, in comfort and security. This makes it ideal for anyone who wants a slightly more affordable option, which is close to the center of town. The hotel offers a decent range of amenities, including its own seasonal outdoor pool: ideal for those hot summer days, alongside all the things that you would expect, including free accessible WIFI, available throughout the property, free parking and family-friendly rooms. While health-conscious customers will appreciate the well-equipped and modern fitness center. The casino provides everything that you could ask for from a Vegas establishment, including all the classic slots and table games that you are used to. 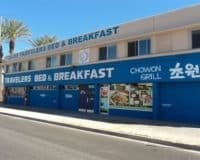 There are also several restaurants and bars onsite where you can grab something to eat before heading out on the town. 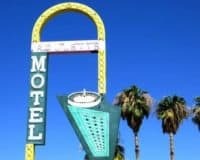 The rooms come with everything that you would expect in a nice Las Vegas hotel, coming with air-conditioning, ensuite bathrooms, and flat-screen televisions. Alongside comfortable beds and ergonomic workspaces where you can finish off any work that you need to. 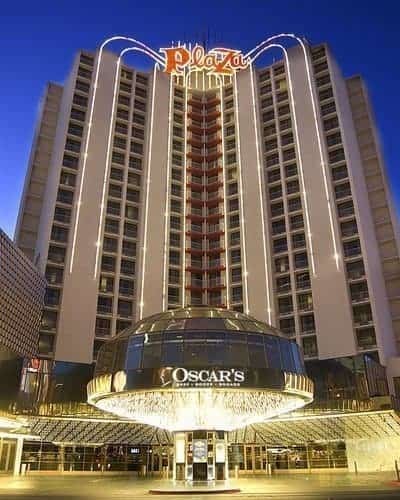 The Plaza Hotel and Casino, is the perfect spot for anyone who wants affordable access to the legendary Vegas lifestyle, providing comfort and lots of good amenities for people whose budget doesn’t quite stretch to the expensive Strip properties. Within 1 mi (2 km) of Fremont Street Experience and Las Vegas Premium Outlets. 3 mi (4.8 km) away from the Las Vegas Convention Center.